The new MM4 GA ED is the latest evolution of the popular Travelscope concept pioneered by Opticron over 20 years ago. 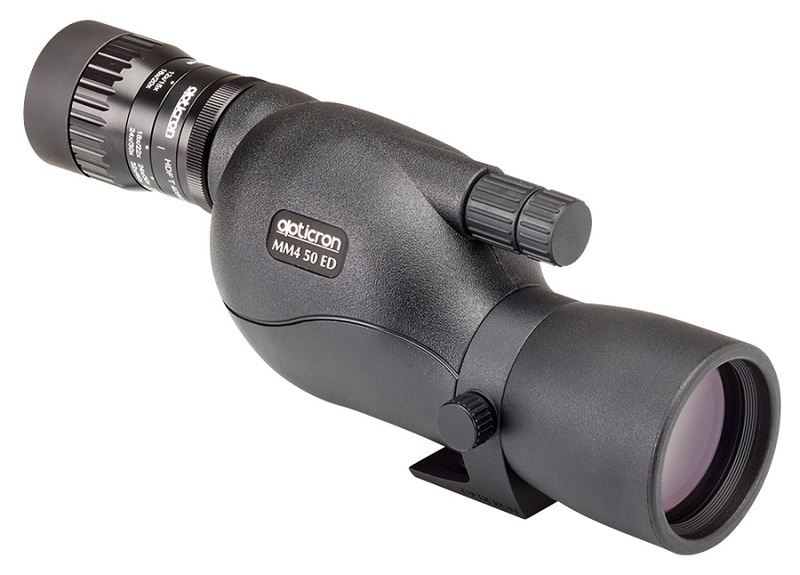 Combining all the features that make our travelscopes the number one choice for thousands of users the world over, the latest Opticron MM4 continues to deliver our maxim; "smaller, lighter, brighter, sharper" to anyone searching for a compact, versatile, high quality instrument for long range, accurate observation while on the move. The Opticron stay-on-the-scope waterproof green water resistant multi-layer padded case is tailored to fit the MM4 ED, protecting the instrument while fitted to a tripod and in use. Includes removable end caps and adjustable neoprene carry strap.